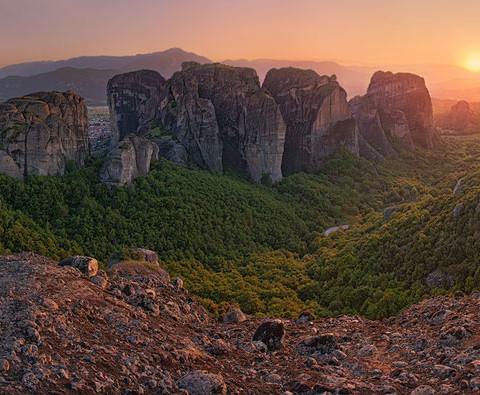 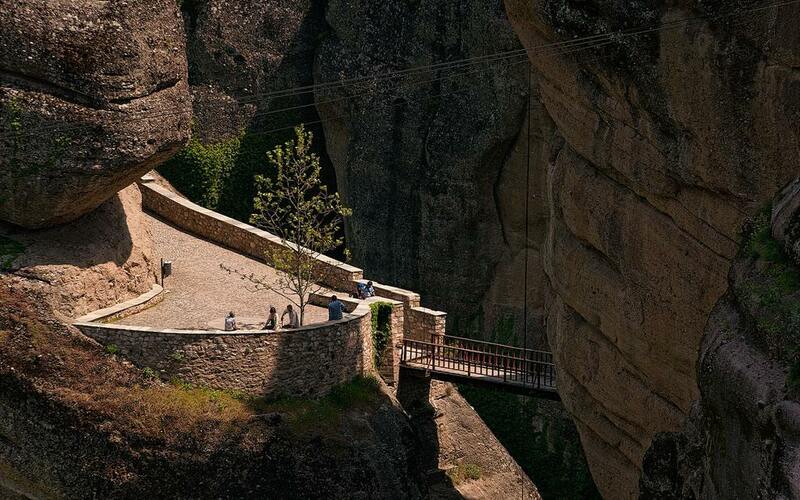 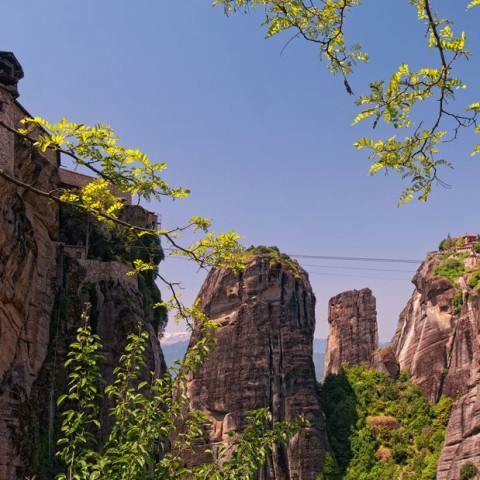 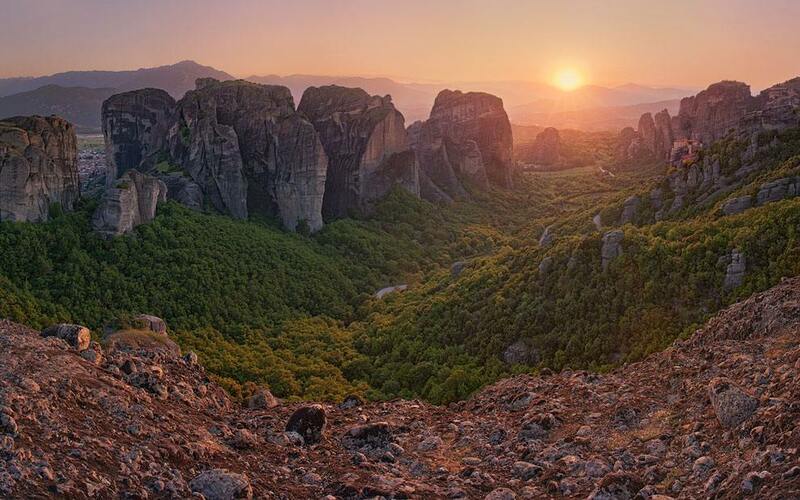 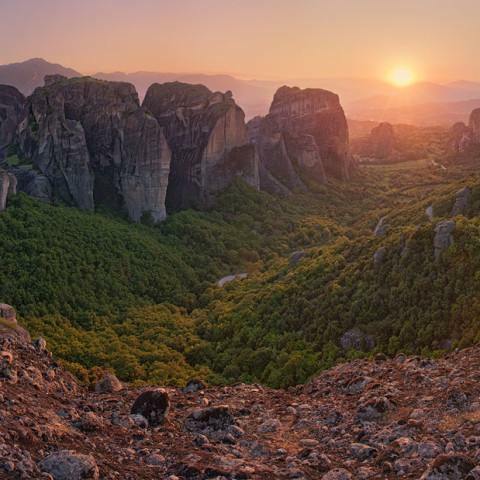 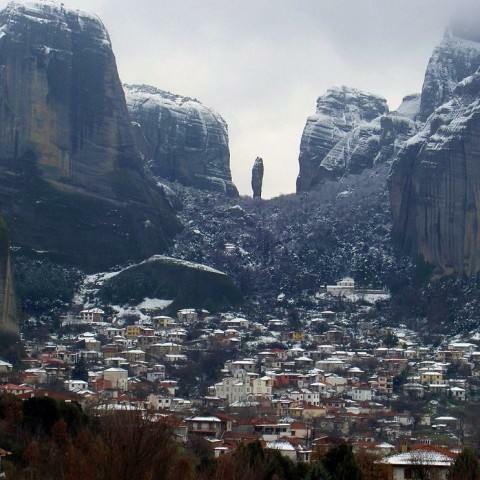 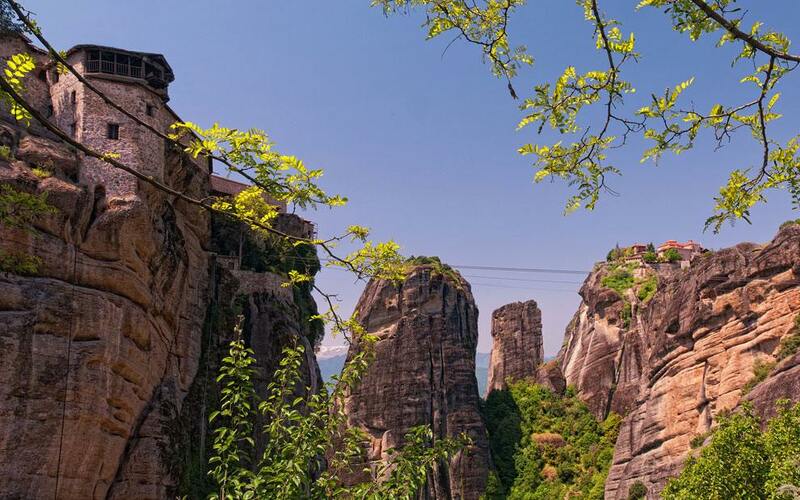 Meteora is a group of huge dark-colored rocks rising just outside Kalambaka, next to the first mounds of Pindos and Chasia. 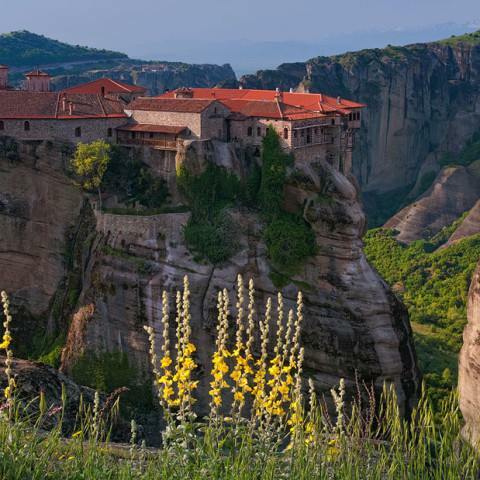 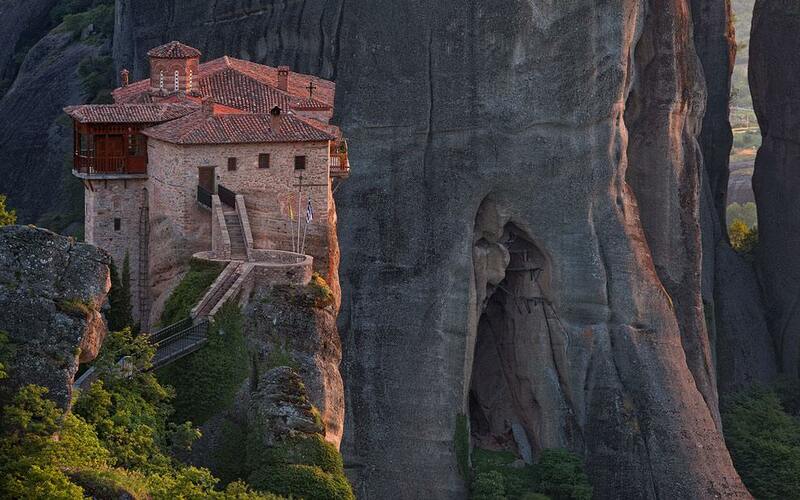 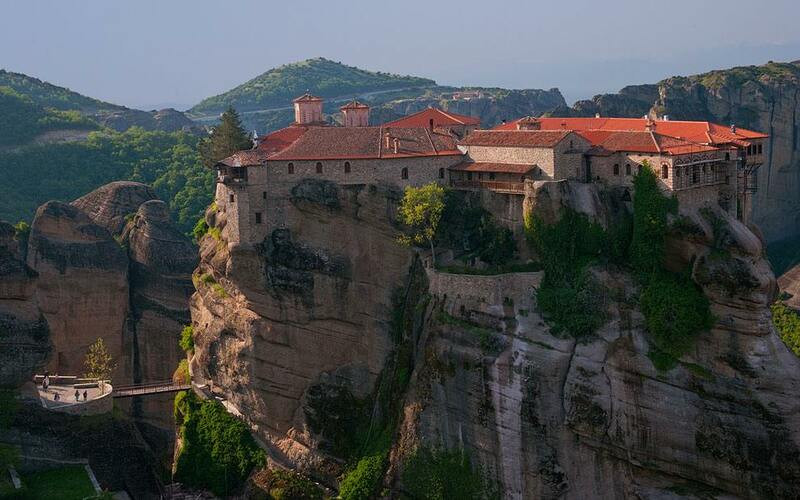 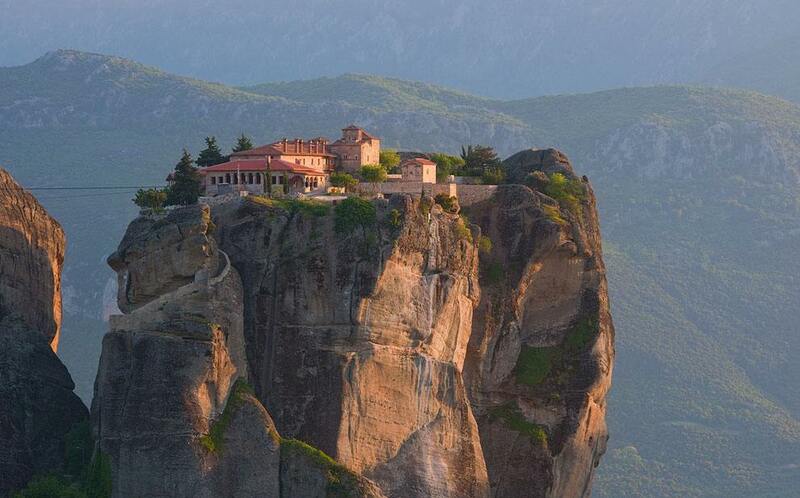 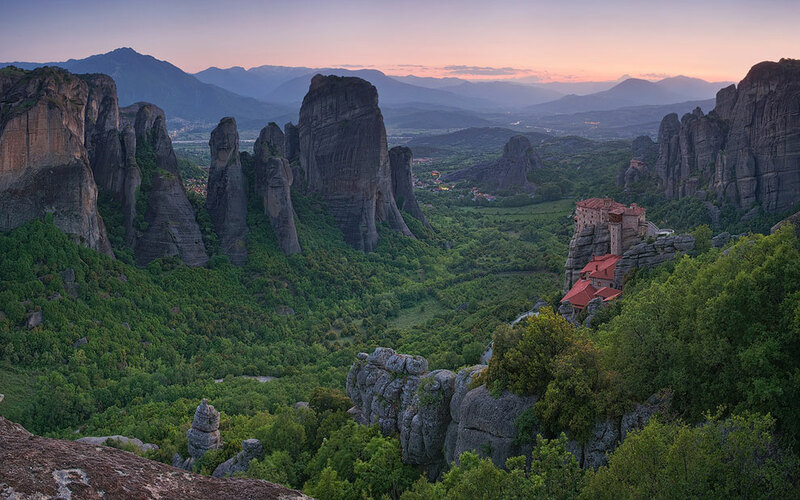 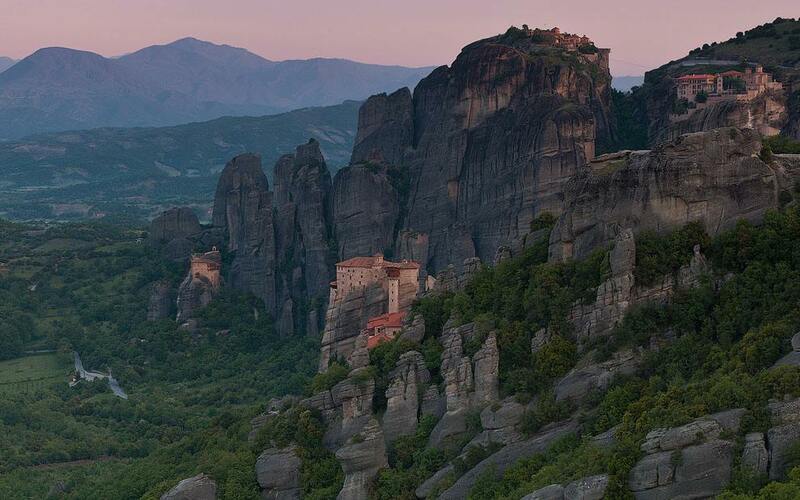 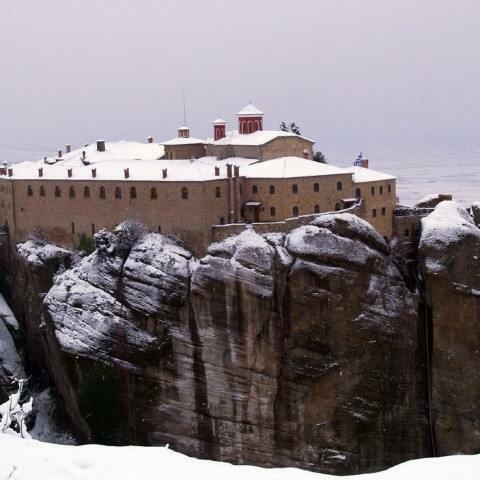 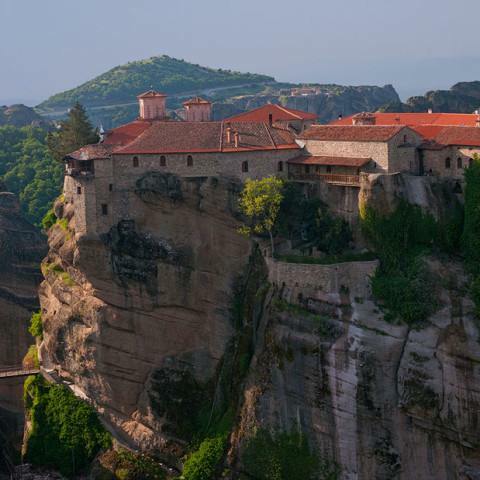 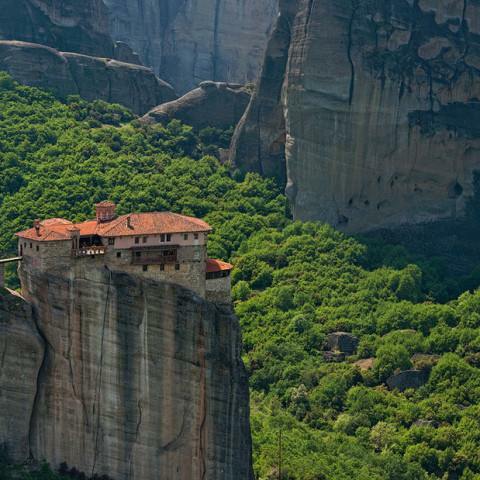 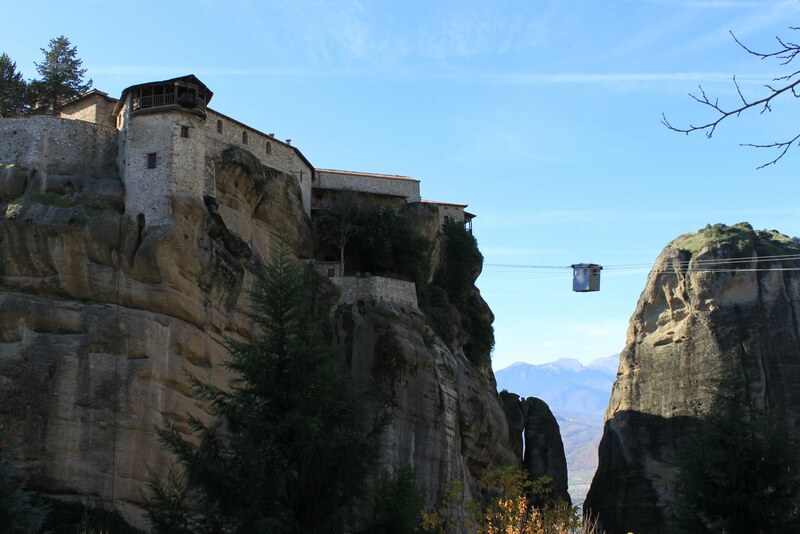 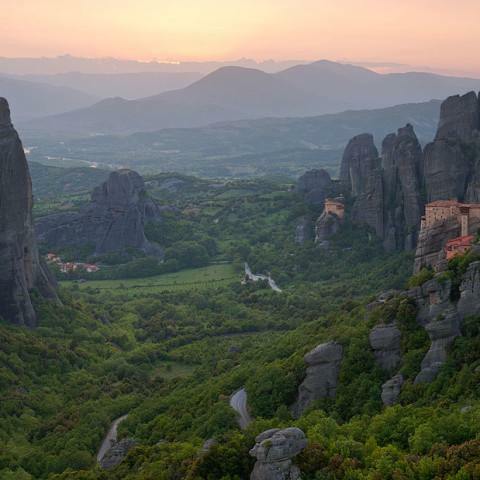 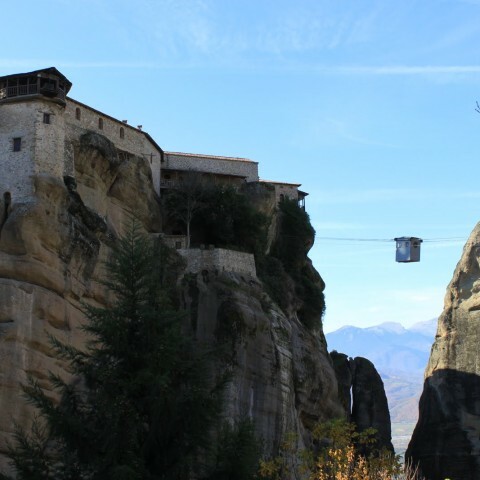 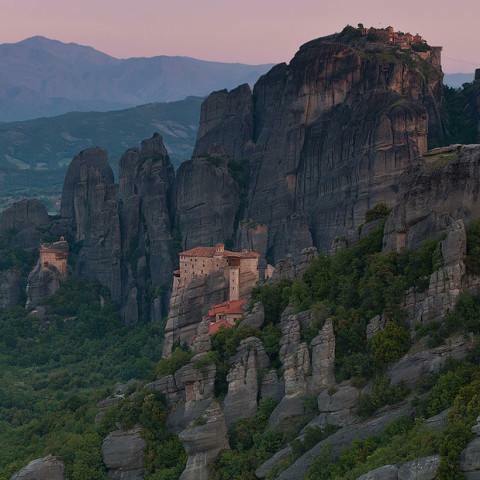 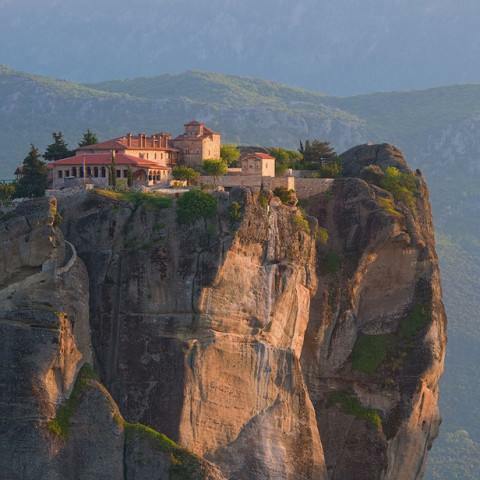 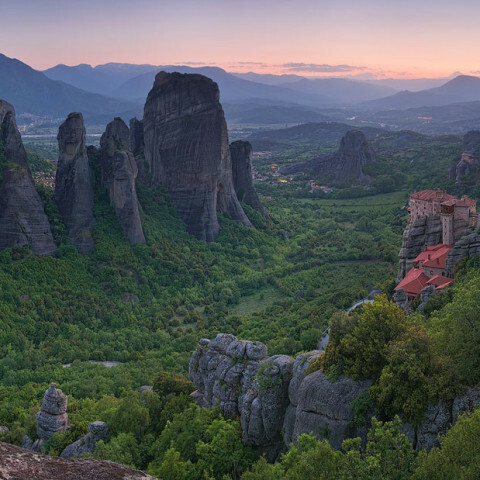 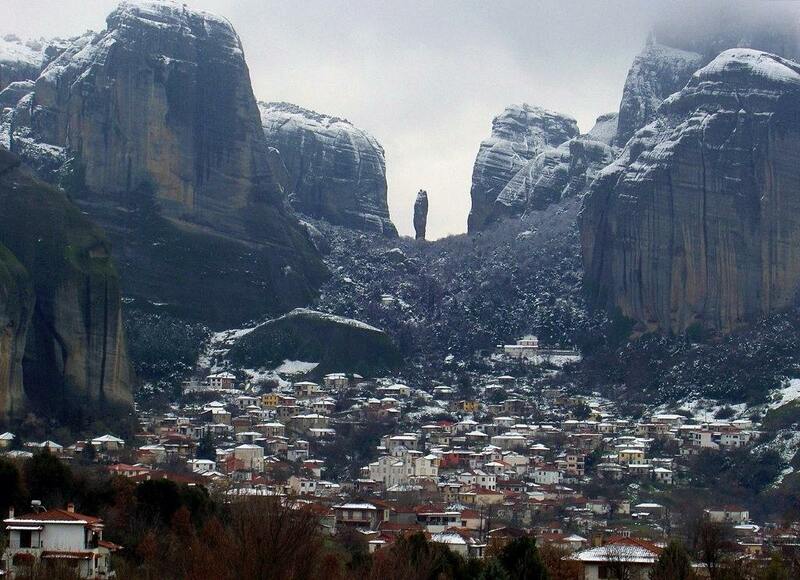 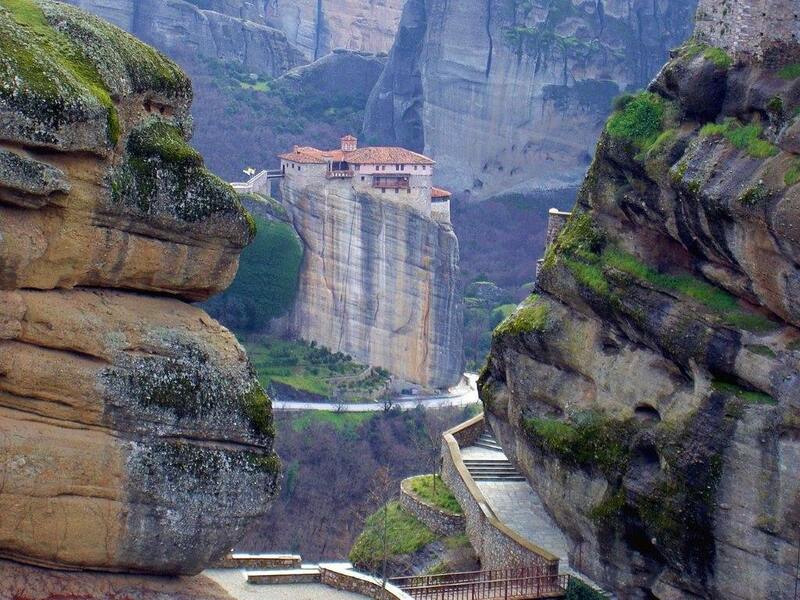 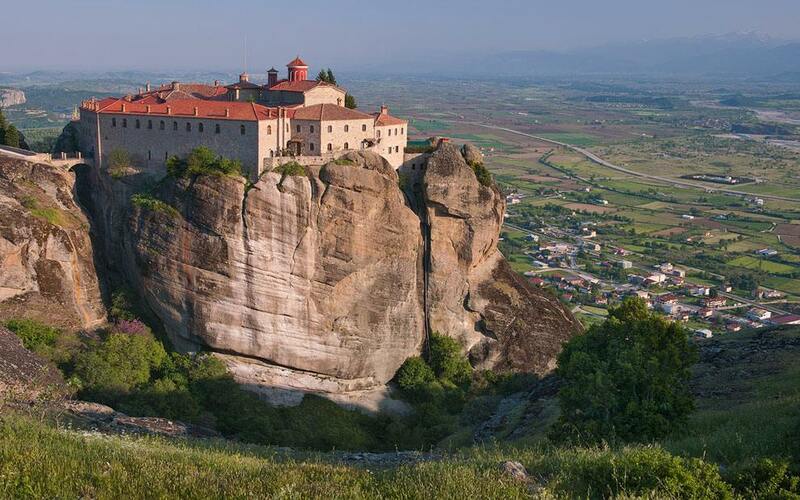 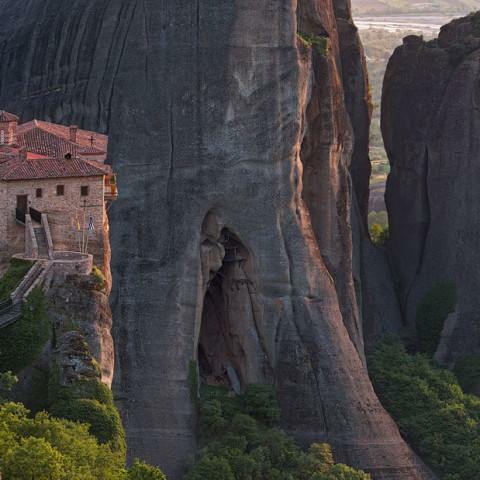 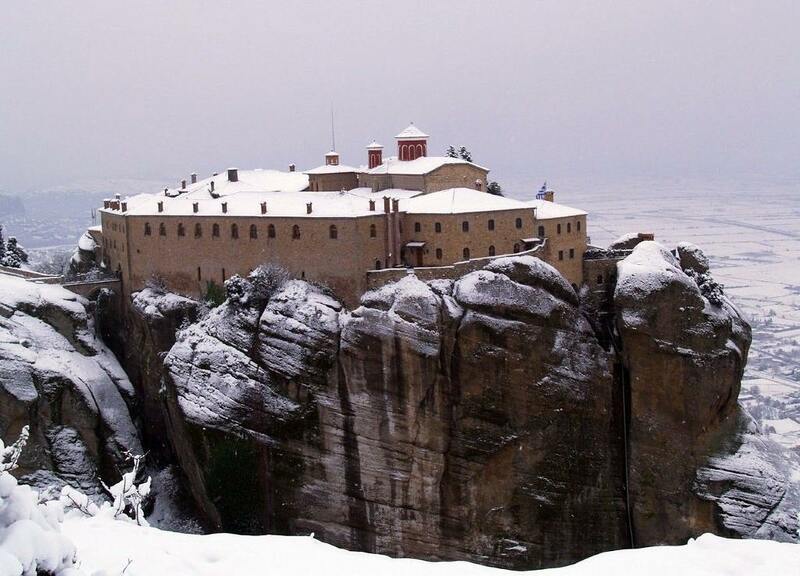 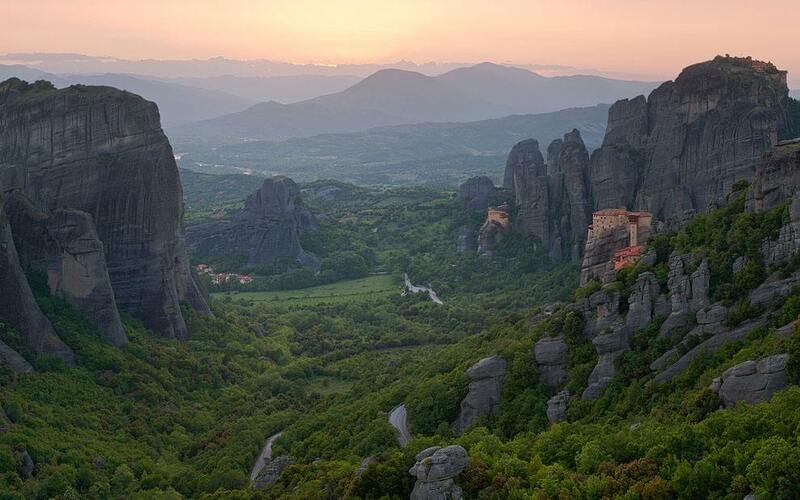 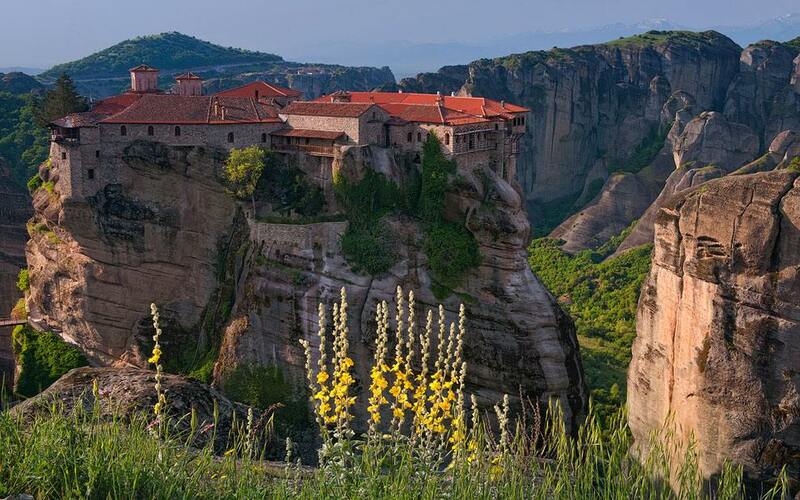 The monasteries of Meteora, built on the tops of some of the rocks, are the second most important group of monasteries in Greece today, following Mount Athos. 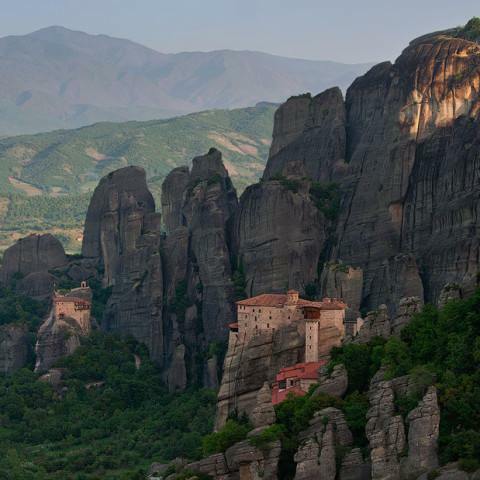 Out of the thirty monasteries which have existed in total, only six officiate today and, since 1988, have been included in the World Heritage List by UNESCO. 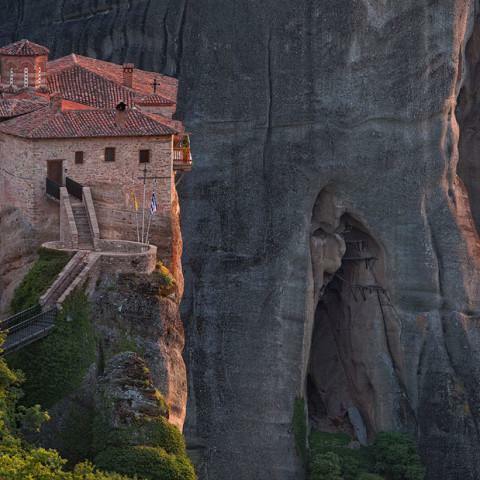 The monasteries of Meteora are included in this list, because they are a unique, harmonic matching of byzantine architecture and natural beauty. 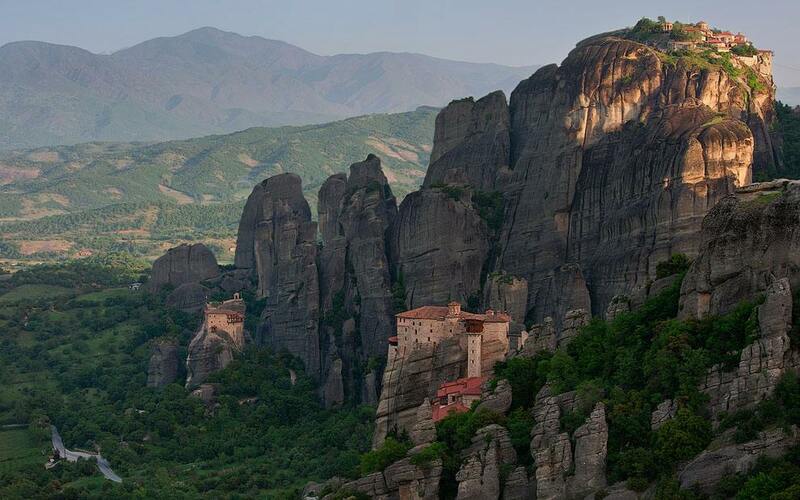 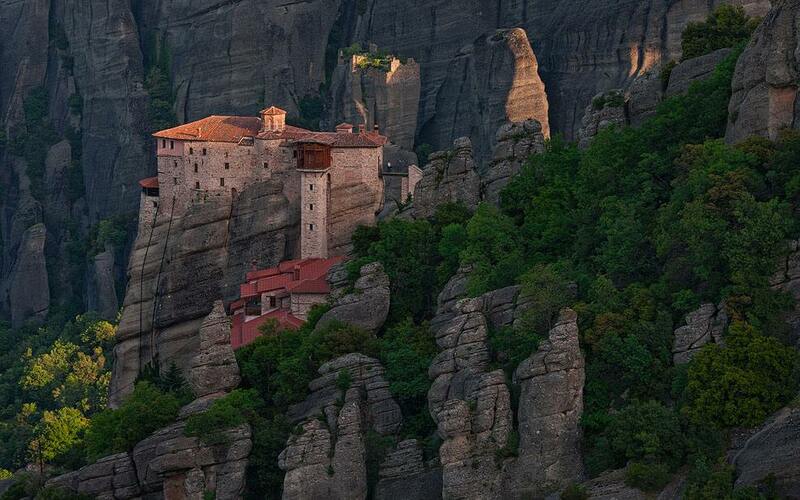 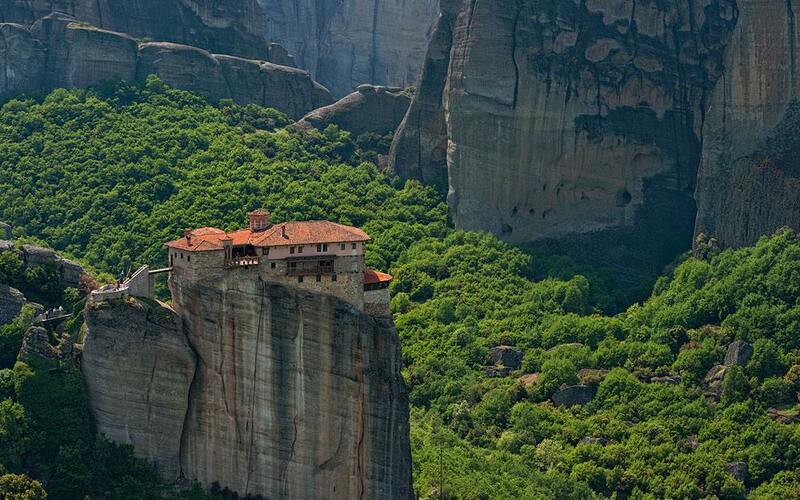 The buildings of the monasteries look like a series of rocks, like a natural ending. 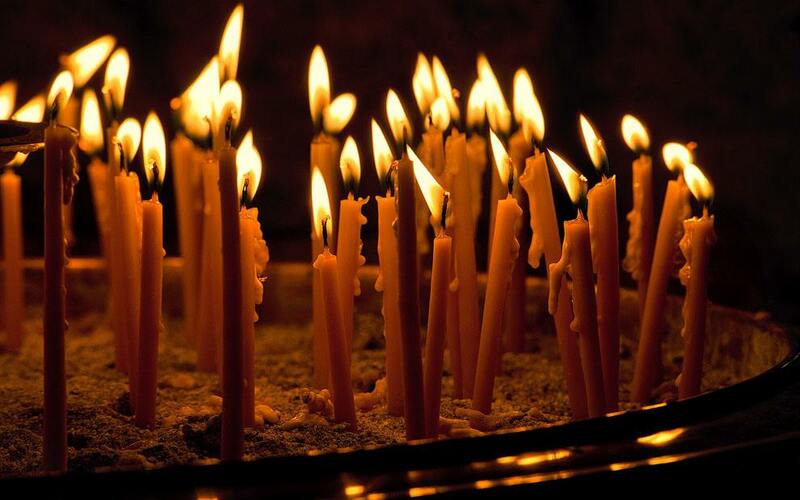 Moreover, they are an invaluable artistic treasure. 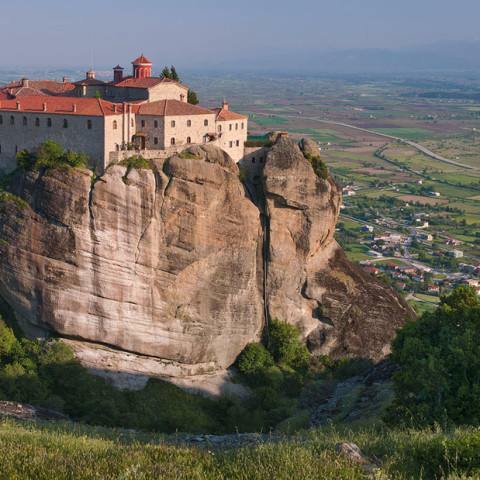 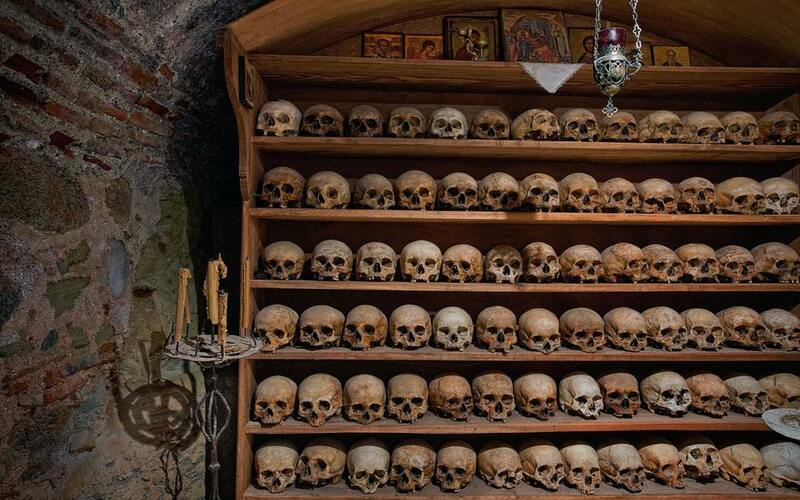 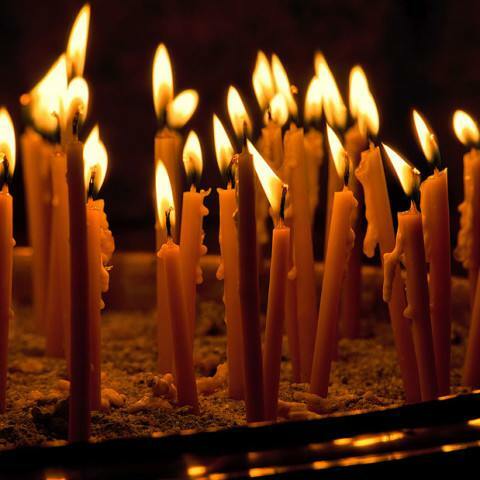 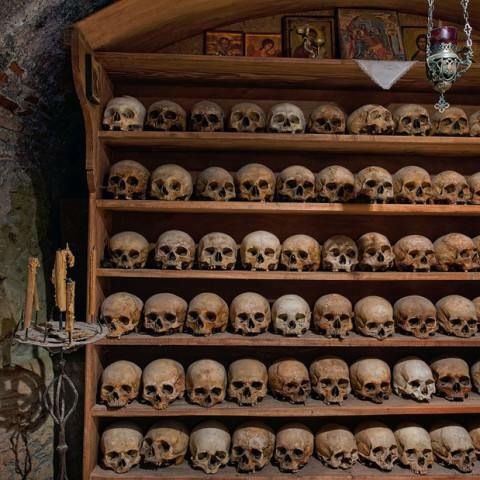 In addition, the presence of so many monasteries in such a limited space, as well as the orthodox intellectual life and ascesis have caused worldwide admiration. 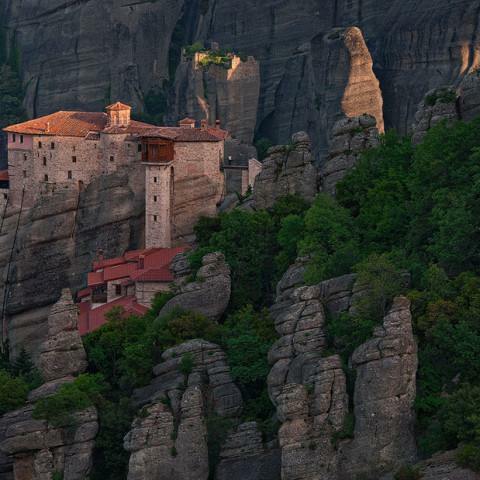 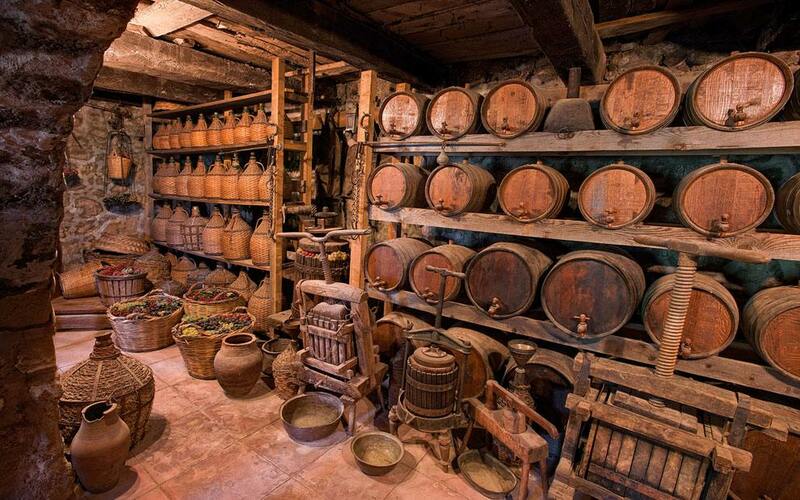 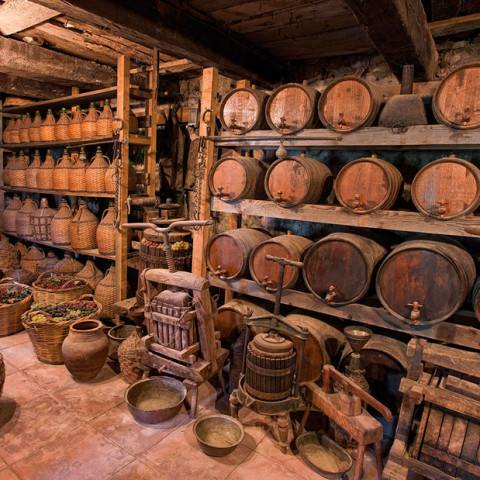 Finally, the monasteries are cultural institutions, which – as is widely known – are not confined in any country. 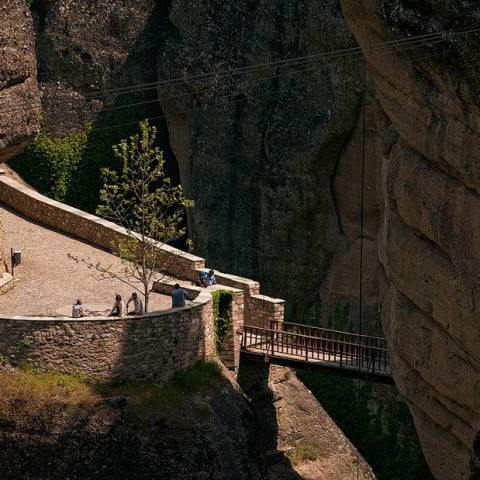 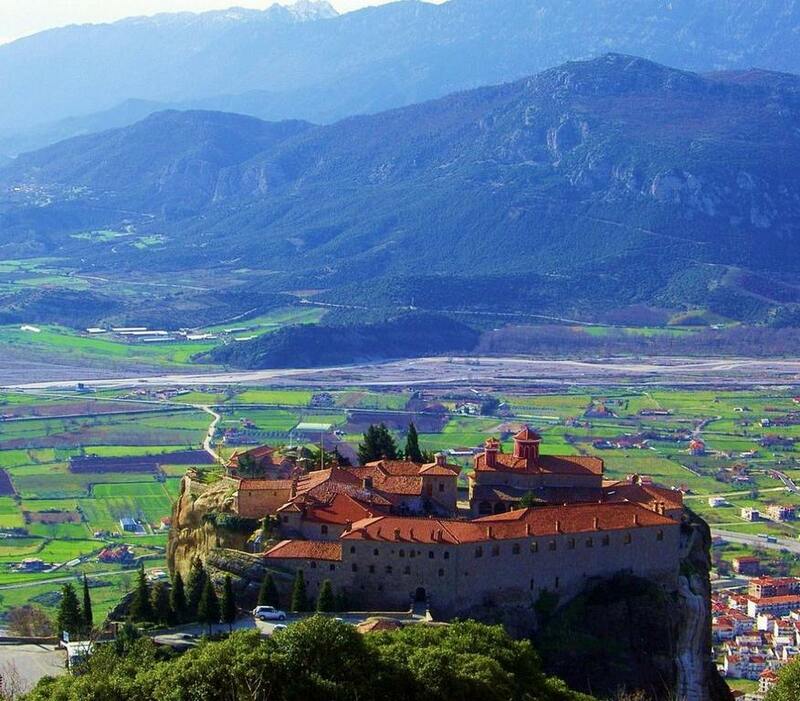 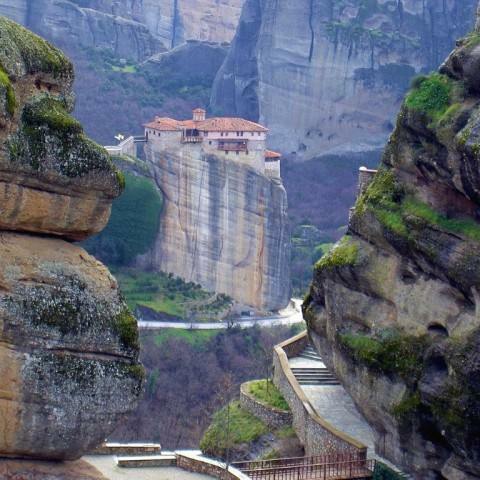 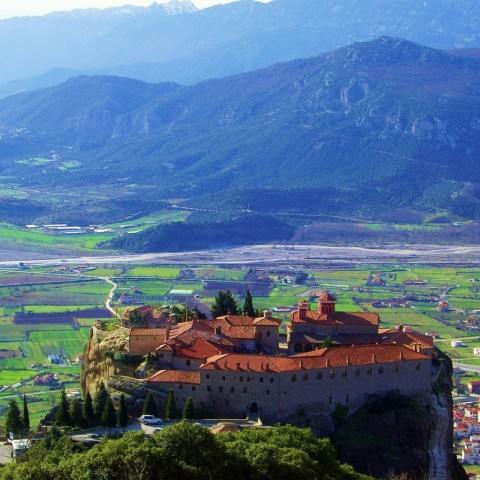 The total duration of the trip is 10 hours, including the route from and to Meteora Kalampaka, which is 4 hours.